The dinners origin started with the crisis that shadowed and still shadows the shipping markets since the fall of Lehman Brothers. Shipping community activities where high until the end of 2008, Bureau Veritas was conducting annual committee meetings and various other opportunities to socialize. All of that was cut off with a razor blade. 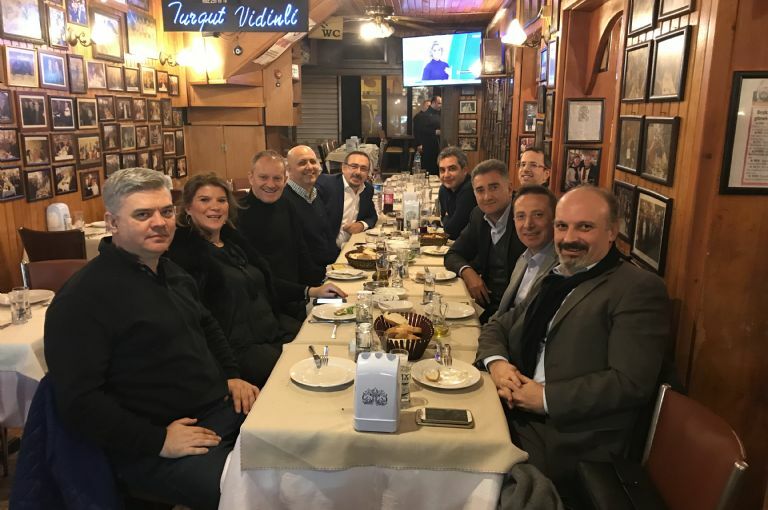 But the relationship between two companies was too strong to maintain the silence and in 2014 their managing directors Cafer Tekkan and Lorenz Weinstabl decided to come together for a semi-annual dinner at which management and related staff members would join. There were two main topics at our sixth event that was hosted again at Turgut Vidanli’s Çarşı Fish restaurant in Beşiktaş: the experience of building ships in Turkey after years of a newbuilding crisis, in result a rather bold matter to see that shipyards and their subservicing industry have lost most of their reflexes, know-how and personal substances in construction of ships. The second one was even more sad, that the amount of Turkish tanker owners had dropped by 1/3 in the past 6 years and that from the remaining 2/3 the majority was struggling with huge debts and organizational problems. Expectations are that in 2 year’s time more than half of Turkish tanker owners will have excited the market. 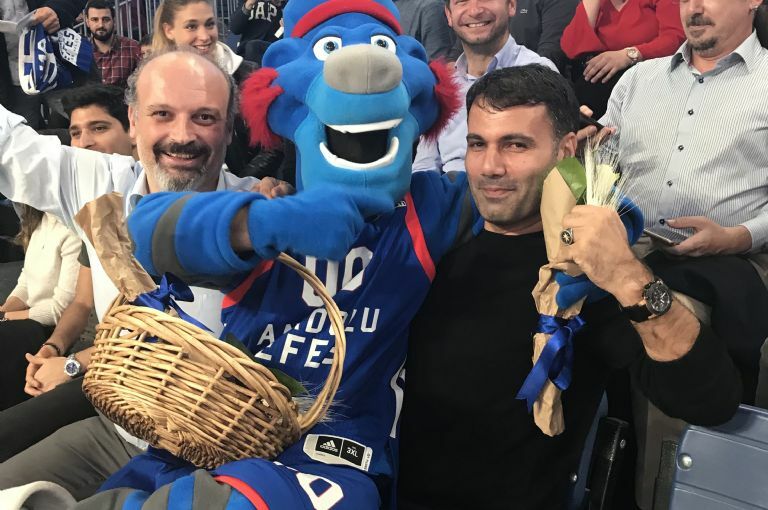 The mascot of Efes Pilsen somehow knew who to reward with a basket of flowers. Captain Memduh Aydin, in charge of trainings at Armona, put in weeks of hard work to prepare the company run seminar. He looked rather overwhelmed than overjoyed by the situation. The picture was taken at the Euroleague Basketball match between Istanbul’s Efes Pilsen and Olimpia Milan. Luckily the host won 73:68. Pictured in the background are some of the 40 sea and shore staff of Armona who joined the event. 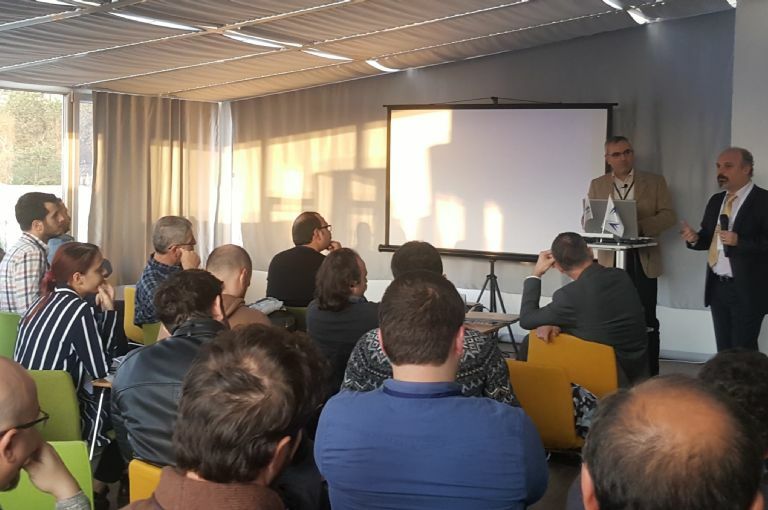 Wow, we reached number 8…This time the Company Run Seminar was held at the company’s new head office between 29th and 30th of November, with a participation of over 40 seafarers. External speakers presented various topics such as Safety Equipment’s, Cargo Tank Coating Repairs, Changing Marine Culture, Energy Efficiency Issues. Both days were followed by a cocktail which both vessel and office staff attended. These social gatherings provided an opportunity for the people to get closer to each other and also for the vessel and office personnel to discuss current matters. On the eve of the second day, sea and shore staff attended a Euroleague basketball game to chill out after two days of intense interactivity. We would like to Express our sincere thanks to all staff that has restless engaged in the preparations of this organization as well as all our crew that have spared the time to attend the seminar. 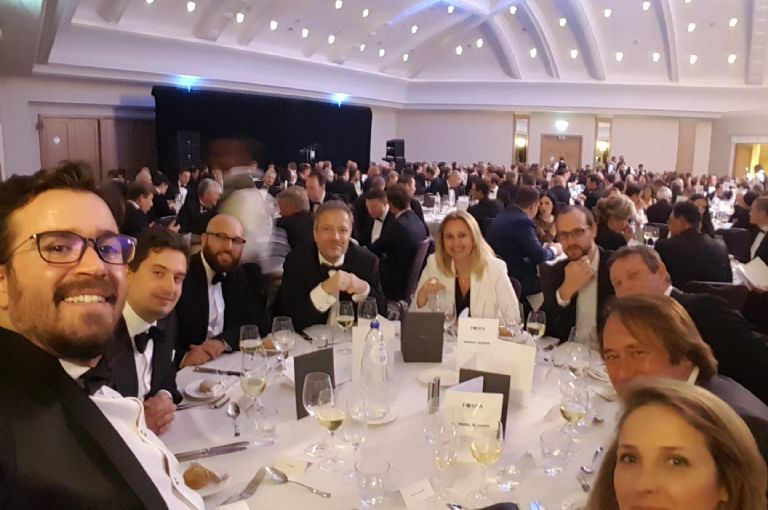 The dinner hosted some 670 participants from all over the world at the heart of Antwerp. Nothing like breaking bread with the people you are doing business with over a nice conversation at a round table. We had 2 representatives attending the dinner from Atlantis Tankers; Mr. Can Eroğlu & Mr. Fatih Meteoğlu. 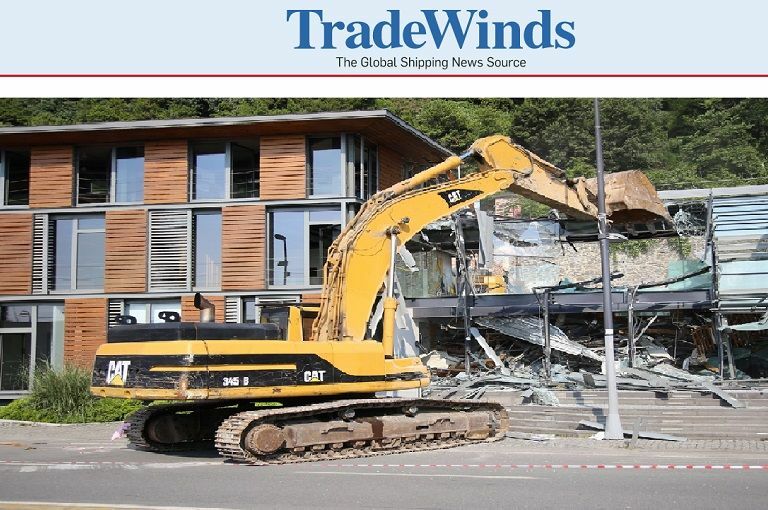 Owner and chief executive Lorenz Weinstabl tells TradeWinds that the delivery this month of the group's 11th newbuilding, the 5,569-dwt Atlantis Alicante, from Turkey's Selah Shipyard may not be repeated any time soon, as he is "deeply concerned" over investment risks in the wake of the demolition. The destruction of the company's premises in the elegant district of Kurucesme along the Bosphorus had its origin in a 2006 rebuilding undertaken by Atlantis to strengthen the 1920s wood-facade structure with steel after the 1999 earthquake that killed about 17,000 people. However, this material was not permitted and a "tear-down" order was made in 2008. The rules were changed in 2010 to permit steel use, but this did not invalidate the earlier order, although the company says it was assured the office, which housed affiliate Armona Denizcilik, would not be destroyed. But on 1 June at 5am, the wrecking crew, police, firefighters and ambulances — a 200-member team lead by an officer of the construction ministry — arrived with no warning, removing what they could in three hours so they could knock the building down ahead of office hours, according to Atlantis. "Some employees arriving at the office earlier tried to grasp their belongings but in many cases it was too late. The police cleared the building and in four hours the buildings were demolished, leaving much of the inventory buried under the rubble," the company says. Weinstabl adds: "They did not even stop when we showed them a court ruling which we succeeded to get in the morning that stopped the tear-down. "Despite the fact that Atlantis employs around 350 Turkish personnel, direct political turmoil has caused concerns for the management as [to] whether to continue investments in Turkey. "As much as we have appreciated to build ships in Turkey and contributed to employment in this country, we are deeply concerned about the risks we face in doing so." The government did not immediately respond to TradeWinds' request for comment on the claims. Temporary offices were quickly found and the company is now housed permanently in a building with views over the Bosphorus again, but Weinstabl remains shocked and puzzled over the government's moves. Weinstabl placed his first newbuilding orders in 2003, followed by more in 2004, 2006, 2008 and 2015. The new tanker is the third vessel of a series, with the first on long-term charter to ExxonMobil. The Atlantis Alicante will serve the western Mediterranean to northern Europe trade pattern that is the company's strength. 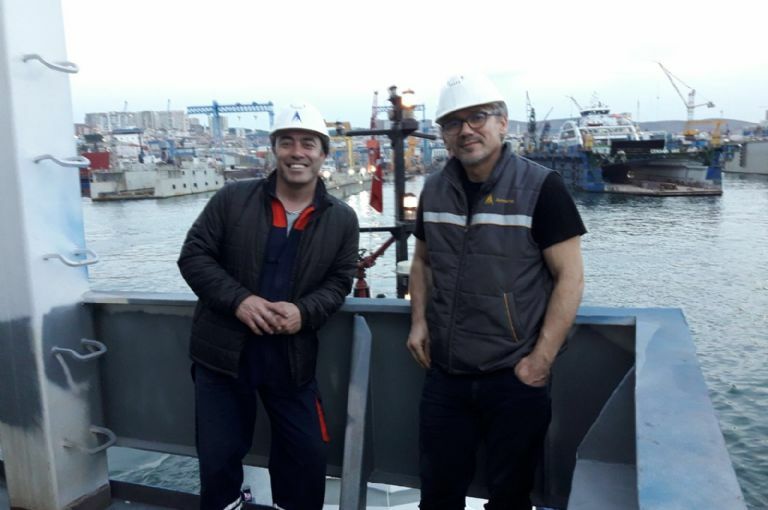 The Isle of Man and Maltese-­established group owns and fully manages 12 shortsea tankers ranging in capacity from 3,440 dwt to 6,420 dwt, of which 10 were built at Turkish shipyards by Armona. One was later sold to Swedish interests. He hints at offloading smaller ships in coming years and replacing them with a series of tankers below 10,000 dwt. The company is also looking at entering the deep-sea markets. Transition is on the way in terms of staffing too. Weinstabl's son, Marlon, is due to join the top management after completing his dual degree at IE University in Madrid. He will "prepare for the helm", Weinstabl says. Asmarine and BRS hosted a wonderful boutique event, bringing together owners, brokers and French accounts such as Total at the Beaujolais Nouveau 2017. 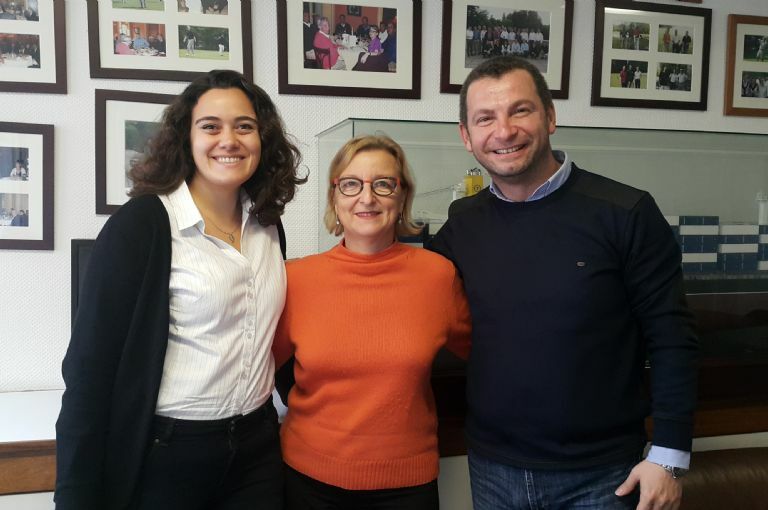 Photo was taken at Asmarine’s office (from left to right): Esra Unal (Atlantis) – Carole Vatie (Asmarine) – Capt. Kutay Somaklı (Atlantis).